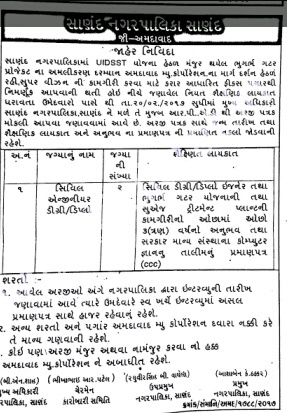 Sanand Nagarpalika has published requirement news below mentioned Posts 2017. More information please read below mention details carefully. Address to sent Applications : Sanand Nagarpalika Sanand , Dist. Ahmedabad.